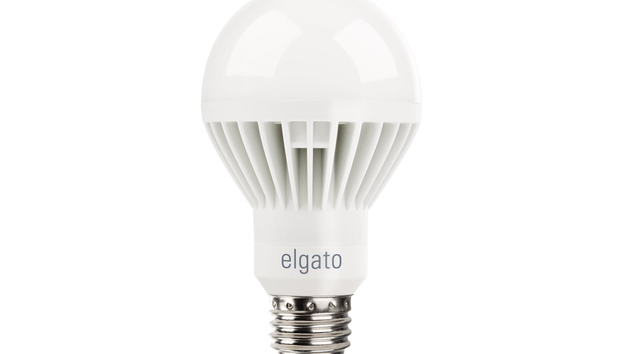 A mood light in every sense of the word, the Elgato Avea is a party bulb through and through. In fact, its approach doesn’t even pay lip service to utility—it’s here for fun, and it refuses to apologize for that. The bulb sets up easily, using an integrated Bluetooth pairing system like the Flux Bluetooth bulb to quickly associate itself with your phone. Multiple bulbs can be quickly paired, and all will coordinate to work in sequence. If the Elgato Avea is controlled by a conventional dimmer, there will be a slight delay before it turns on, and it won't dim at all (but if you set the dimmer low enough, it will flash off and on). It will flash off and on constantly if controlled by a Z-Wave dimmer. Elgato’s control app is an utter no-brainer: just install and quickly pair your bulbs, and then you’re off. While many smart lighting apps overwhelm with features, Elgato’s is stripped down completely. There’s really nothing to learn here. The main screen is straightforward to a fault, offering 12 different modes to choose from, most of which slowly change in color in tune with the app’s preset schedule. 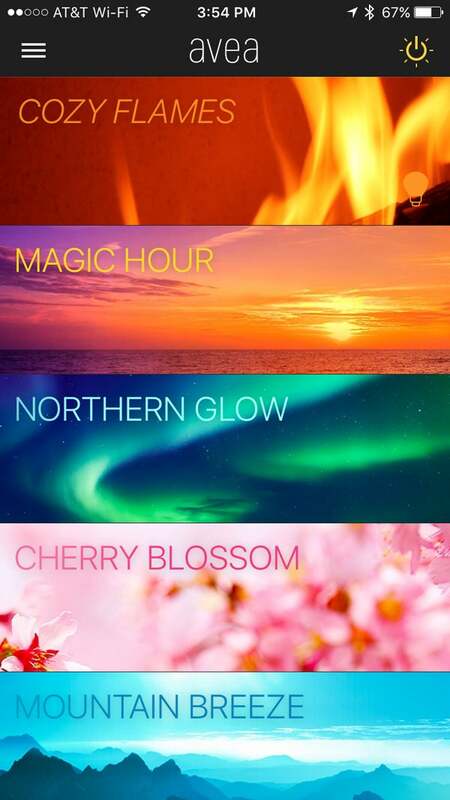 These range from “Cozy Flames” (flickering red lights) to “Caribbean Sea” (shimmering shades of blue). There’s more fun to be found in the form of modes like “Candy Land” (which is exactly as colorful as you’d expect). The app for controlling Elgato's Avea color LED smart bulb is about as basic as they come. “vividness” (or color intensity) of the various modes; otherwise, tweaking options are limited. Only one of the modes, “Wake-Up Light,” includes a rudimentary timer system, complete with an audible alarm chime that lets you use it in lieu of a regular alarm clock. 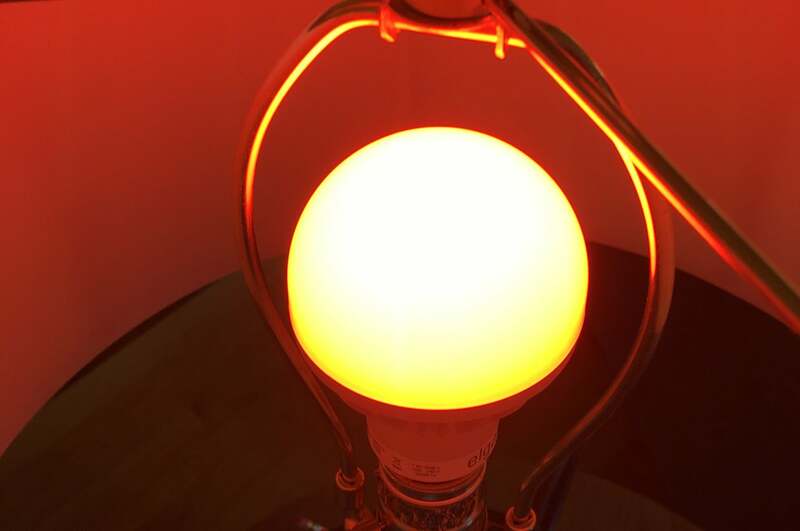 Avea is a novelty bulb, and that’s fine, particularly since the app is so uncomplicated. (It’s so basic that the Apple Watch widget looks almost the same as the full app.) Were it considerably brighter—at just 430 lumens, it’s literally the dim bulb among its contemporaries and completely unfit for use in a standard lighting environment—it might make sense as a primary bulb. As it is, most users will find better and brighter options abound.